I still think this one is pretty unique. 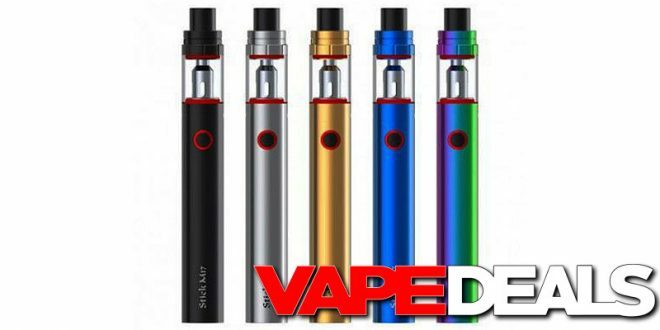 The Smok Stick M17 is basically a sub-ohm kit masquerading as a basic pen-style device. This is definitely NOT the eGo pen that many of us started with! =) If you’re looking for a compact setup that still packs a punch, this one is probably worth checking out. 101vape currently has it on clearance for $15…but the price drops down to $14.25 when you apply coupon code “101VAPE” at checkout. Not a bad price for a full starter kit with 2 coils. Take your pick from 4 different colorways: stainless steel, gold, blue, or black. Shipping is FREE when you spend $75 or more.